As humans, we have our flaws. But it’s not necessarily out there in the open for people to see. Everyone has something they’re not happy with about themselves, whether it’s something from their past, a part of their appearance, or even an illness they can’t control. 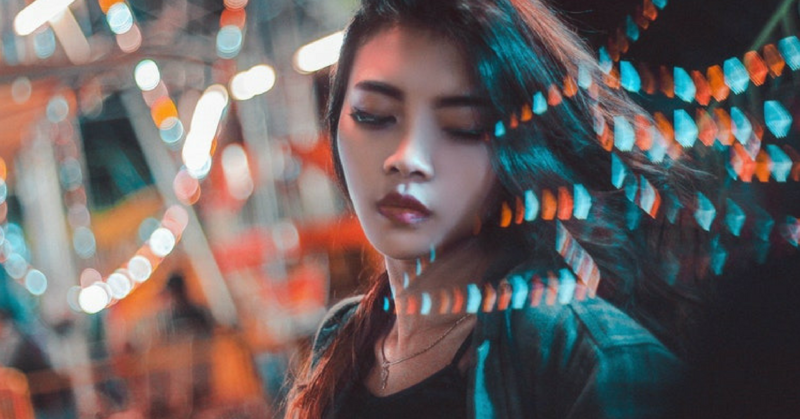 We talked to 6 Malaysians who opened up about their deepest insecurities and how they’re handling it on a daily basis. Upon request, some of their names have been changed to protect their identity. What is your deepest insecurity? Being seen as a disappointment to my family. I only graduated high school and I’m the only one in my family who didn’t go for my higher level education. I’m not studious whereas the rest of my family are all academics. I’ve always felt like I’m the black sheep in my family and I feel like they think the same even though they always tell me it doesn’t matter. It’s made me feel less confident with myself. There have been moments where I feel like I can’t go far in life because I’m not smart enough but I’m pretty happy with where I am now so I can’t complain much. I do a lot of odd jobs. I do it so that I don’t feel so useless as I don’t have the education to get a higher paying job but I do it so that I can prove to not just myself but also my family that I can support myself even though I might not have the highest form of education. I used to be overweight in high school so I never had many friends. People would always body shame me to a point where I started purging what I ate. That was the start of my bulimia disorder. I used to be able to eat a lot better before but nowadays, I only eat when necessary. I’m a lot more cautious about my meals and I get sensitive when people bring up my weight. I stay away from any comments on my weight. Whenever someone mentions it, I usually tune it out or switch the topic. I used to go for therapy when my bulimia was at its worst but thankfully now I’m a lot healthier so I just watch what I eat on a regular basis. I’ve always had a stuttering problem since I was young. It’s something I grew up with so I’ve always been conscious about it. It’s not as bad now but it still happens, there’s nothing much I can do about it. I’m a lot more quiet around people. I consider myself an introvert but I consciously try not to speak a lot because I don’t want people hearing my stutter. I always practice to stop it but when I get frustrated, I just clam up which is probably why I’m so quiet around others now. My parents enrolled me into speech therapy classes when I was younger which helped a lot. Nowadays, I try to read out loud to practice my speech but honestly, it doesn’t bother me as much anymore. I’ve just accepted it. My eczema is quite bad. My skin flares and peels off easily which leaves marks and blood so I’ve always been conscious in hiding it. For a long time, I’ve always felt like I’m not attractive. I have more confidence now but back then, I wouldn’t even go out with friends because I’d feel ashamed of my body. Even until now being married and with kids, I sometimes feel conscious when I go out but I try not to think about it so much. I have medication and creams to help with soothing it down when it gets aggravated. I also avoid going out when it’s hot because the sun makes it worse. When I feel like it’s serious, I go to my dermatologist who helps me out. It’s not something that can be cured so I try to deal with it the best way I can. Normal people in Malaysia are probably less than 180 cm. I’m close to 200 cm which makes me stand out more than usual, and it’s not really a good thing. It hasn’t really affected me in a bad way. I just think that people see me as some freak because I tower over them so much. Well, I can’t really do anything about it since it’s my physical attribute. I do make myself feel better by (literally) looking down on people and feeling a little superior. People used to see it as a defect or disease kind of thing, it was as though I had leprosy or I was dirty. Mostly on my self-confidence. Being viewed as dirty and unclean made me feel like an outcast. I was teased and everything in high school. Due to that and some other stuff, I even changed schools. I try to dust off any dandruff and constantly be aware of my shoulders. I also avoid wearing bright colours, like red. I’ve changed shampoos and Googled treatments to see if that could help. These stories make it quite clear that insecurities can happen to anyone. Almost everyone experiences it in one way or another, but it’s how you deal with it that determines how much it can influence your life. Body image is a serious issue that still plagues a lot of us. Stories like Dania’s and Magnus’ are one of many cases that happen to even our own family and friends. Acne, eczema, dandruff—these are only a few examples of conditions that might seem out of our control. Many of us have learnt to live with our insecurities, but acceptance isn’t the only way to deal with some of these. Whether it’s acne, an itchy scalp or skin irritations, there are many known treatments out there that can help. 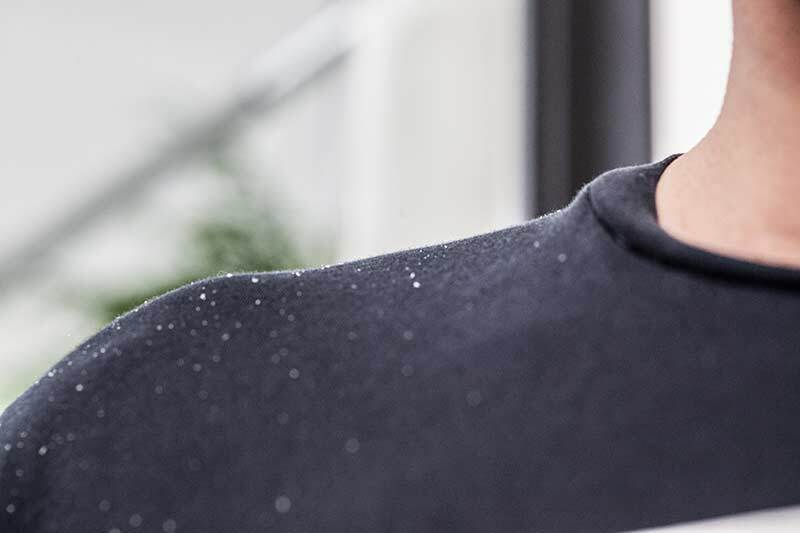 Magnus’s dandruff issue is more common than we know. There are those who may even have it worse in the sense that they may suffer from itching and inflamed scalp or even eczema of the scalp. For these conditions, there’s a scalp cleansing treatment called Sebitar to provide relief of itching, inflamed and flaking scalp. It contains coal tar, pine tar and salicylic acid. Eczema patients on the other hand can find relief with the Pinetarsol range which has pine tar that helps soothe itch and inflammation. Pinetarsol Bath Oil in particular is known to give rapid itch relief for those who suffer from eczema or dermatitis. Both were formulated by Ego Pharmaceuticals, an Australian based company specialising in development, manufacture and marketing of innovative skincare products for more than 60 years. The two products we named mainly help those with eczema and scalp issues. Ego Pharmaceuticals made them to cater to more than just one body condition. Both of these products are available online at the Egopharm website here, or in Watsons, Guardian or Caring Pharmacy . 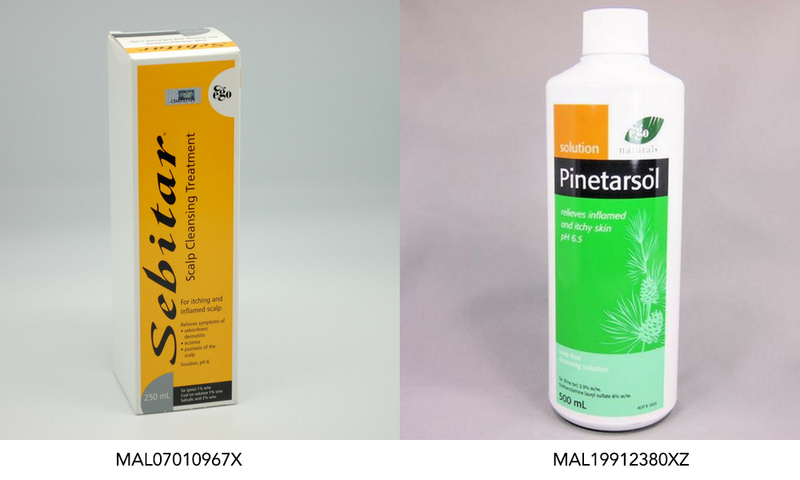 You can also go directly to the product pages: Sebitar and Pinetarsol. This article was written in collaboration with Ego Pharmaceuticals.